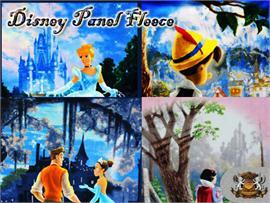 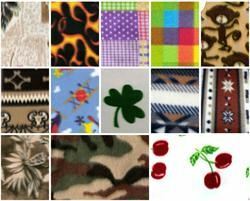 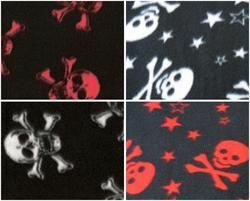 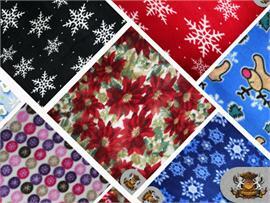 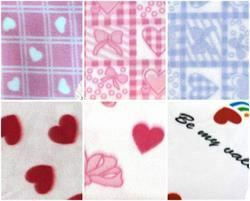 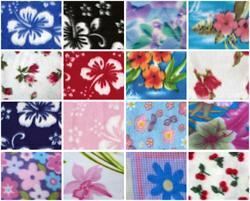 Our Fleece Fabrics have different prints that you can choose from. 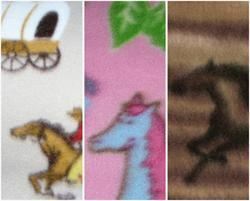 It has a thick, heavy surface resembling sheep wool. 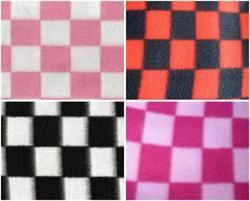 It Features a soft, bulky, deep-piled knitted, woven fabric. 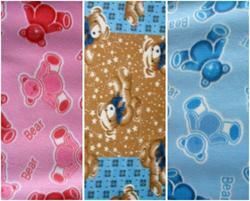 The Fleece fabric has a deep, soft nap pile; this provides air space giving good insulating properties without too much weight. 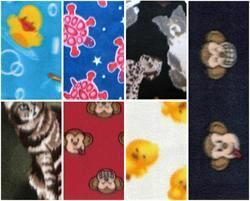 This fabric is warm and cozy; fleece fabric is easy to sew and to work with. 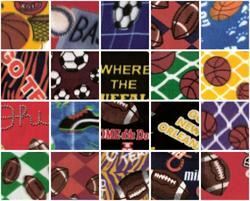 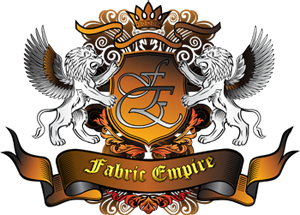 The Fleece Fabric can be used at home and commercial applications. 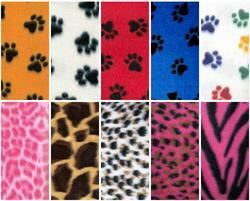 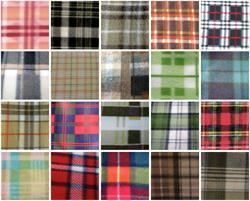 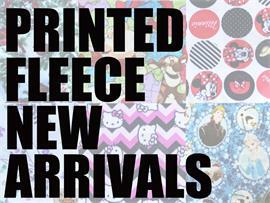 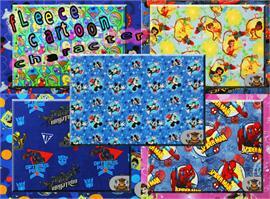 We have different types of Printer Fleece Fabrics other than these like, Animal prints, Checkerd print, Etc. 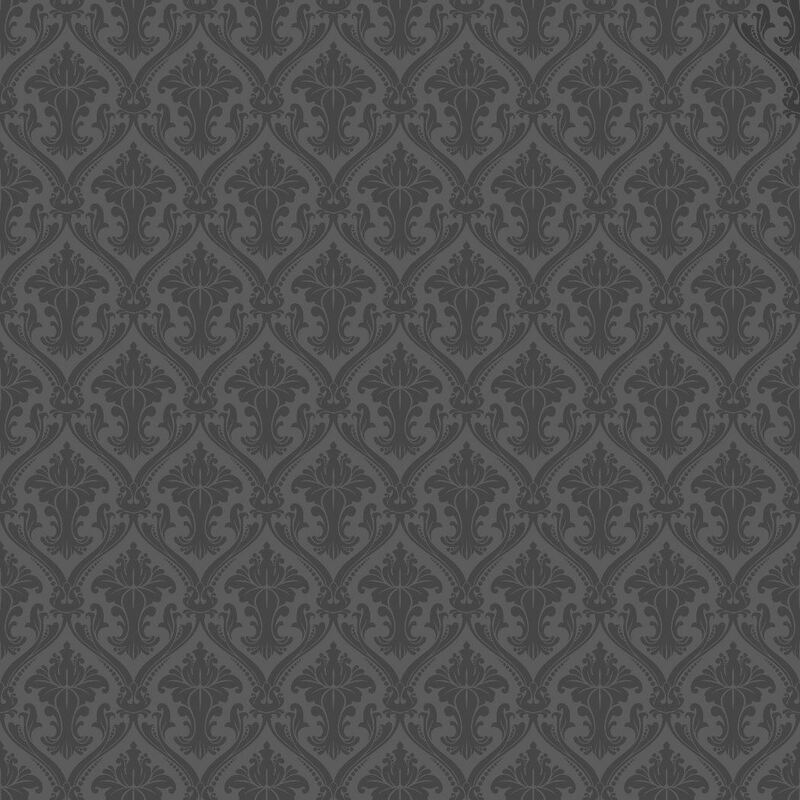 that can fit your needs. 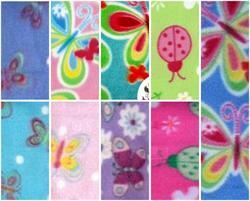 Choose from our wide insect designs!